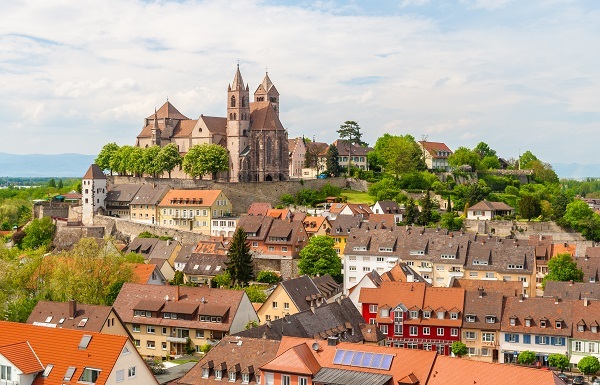 Jane Spinks, Senior Travel Consultant at our Norwich travel agents, received a taste of a Rhine River cruise when she sailed from Basel to Strasbourg with Riviera River cruises. Here’s what she thought of her trip and the elegant MS Oscar Wilde. We travelled to our starting point of Basel by Eurostar and TGV. This was all very smooth and the timings worked well. We made our own way from Paris Gare de Nord to Gare de Lyon, but Riviera guests receive a coach transfer and are met in Paris by a Riviera Representative. Oscar Wilde is a fairly new ship and I was very impressed by the high standard of fixtures and fittings throughout. The cabins were very spacious with large patio style doors and a Juliette balcony with a small table and chairs next to it. This provided a wonderful place to sit and watch the changing scenery go by. The extremely comfortable bed and high-quality pillows and linens contributed to a great night’s sleep each evening, whilst the Nespresso machine and selection of coffee pods was a lovely extra touch. The food was delicious with a good choice at breakfast, lunch and dinner. Breakfast was buffet style and dinner was waiter service on the nights we were aboard. Lunch was either eaten on board or we were provided with a packed lunch on the day we were out on a full day excursion. The main restaurant was a very pleasant area and the table sizes and spacing ensured that noise levels never reached a high volume. This created a lovely, relaxing, yet convivial, atmosphere. An alternative restaurant was also available by pre-booking and this made a nice change of venue on our second evening. I found all the staff to be very efficient, friendly, enthusiastic and genuinely caring. Day one – Switzerland. Free time to enjoy the stunning views around Lake Lucerne in the morning. In the afternoon, we were taken by a comfortable coach to an area at the foothills of a beautiful mountain range (including the Eiger). We then took a slow train up to the top, where we had free time to enjoy a glass of wine or beer and soak in the most amazing views. Day two - Germany. We had free time in the morning to enjoy a walk around the quaint German village of Breisach. In the afternoon, we boarded a coach to take a trip through the picturesque Black Forest to Lake Titisee, where we had free time to stroll around, do a bit of shopping in the gift shops and have a nice cup of coffee with a slice of Black Forest Gateaux. Day three - France. This was a day trip to Strasbourg. Our guide took us on a walking tour through the city centre, following the river and passing some picture postcard buildings. We left the group at this point and took the train and Eurostar back to London. I absolutely loved all of it - the atmosphere onboard the Oscar Wilde, the food, the comfy bed and the wonderful staff. Also, the trips. It was a real joy to be in a different country each day and sample some of the best bits of those areas. It would be very difficult to think of something that can be improved upon. The only thing I would change (and others said the same) would be to swap the trips on day two. So it would be a case of doing the Black Forest excursion in the morning and free time in Breisach in the afternoon. I feel the day would flow much better that way. 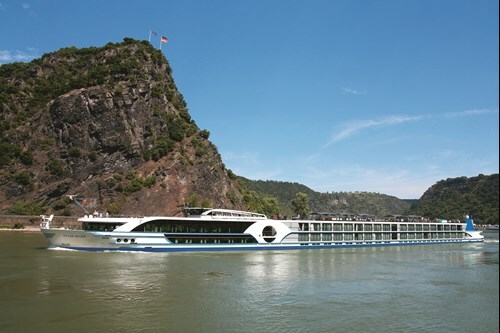 I would have no hesitation in recommending this trip as it is a lovely way to see some beautiful riverside views, as well as experiencing different countries at a good pace and returning to a beautiful ship each evening. If you would like to experience a river cruise like the one that Jane enjoyed, we have a wide range of itineraries available for you to choose from. Visit any of our travel agents in Norfolk, Suffolk, Essex and along the south coast.